I recently realized this is the most time I’ve spend off campus in, well, my adult life, so allow me to wander off campus in my writings as well, at least for a little. I very, very, strongly encourage the dedicated reader to check out this source. I’ve written of Common Core before, several times even. It’s been very clear for a very long time that something is very wrong in public school system. While the above hints that an easy solution would be to revert to known, successful methods of teaching children, that option never seems to be on the table. The reason for this, I believe, is that if someone can come up with a method of teaching children, any method even incrementally superior to what we’re disastrously doing now, they get the endless rewards of being an Education guru (that, so far, such gurus have all been utter failures doesn’t seem to impact the rewards, however). There’s just no way to take credit for “let’s just use what we’ve known works based on the last few thousand years,” after all. So, it doesn’t matter that Common Core ignores science, that it further separates parents from their children (by changing the methods so much that parents can’t help their children learn, a critical part of learning), that it “teaches” in ways that any experienced teacher knows can’t possibly be effective…Common Core it is. The gentle reader might be curious how that could be, but part of the reason (beyond simple governmental force) is the effectiveness of Common Core is backed by “studies.” I’ve seen many such studies, and even when they’re blatantly rigged to generate positive results using statistical manipulations up to outright fraud, it doesn’t matter: nobody dares question these things. So, the fantastically rigged studies show Common Core is amazing, simply amazing, when it comes to the success of their weird, nearly inhuman, ideas about how to teach children. What happens in the real world when kids are subjected to Common Core? So, there it is, then. You can certainly criticize standardized tests, but the fact remains whatever the ACT measures…our students have less of it, thanks to Common Core. Only 40 percent of high school students met the ACT College Readiness Benchmark in math. That’s down from an ACT high of 46 percent in 2012, and the lowest mark since 2004, the ACT report noted. I remind the gentle reader around 70% of high school students go on to college after graduation. When one considers only 46% (more like 40% today, thanks to Common Core) of graduates are ready for college, that means we have a large number of kids flowing on to campus who demonstrably are not ready for campus but could use education vouchers. The reason nobody asks our leaders in higher ed about this obvious discrepancy is similar to why nobody ever challenges those fake studies showing the efficacy of Common Core. The ACT basically measures two things, math skills and English skills. It’s clear Common Core has failed to help our kids with math, and I must particularly grieve over this. 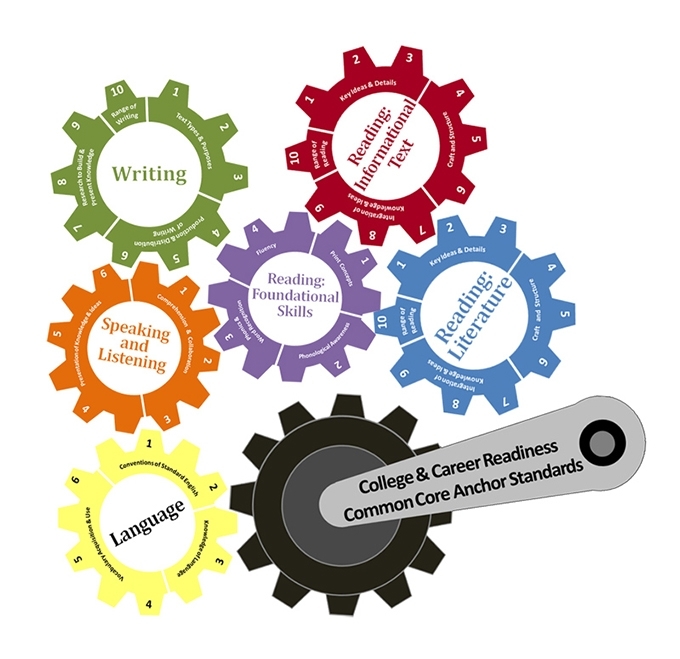 Is Common Core better with English? The report also noted that high school graduates college readiness in English is also slipping. The report said 60 percent were considered ready, based upon their scores, a drop from 64 percent in 2015. The 2018 level was the lowest since current benchmarks began to be used, ACT said. More failure. Not to worry, I suppose, as I’m sure some new method of teaching (something called “Homeland Core,” perhaps) will be invented soon, and there will be plenty of studies showing how great it is.